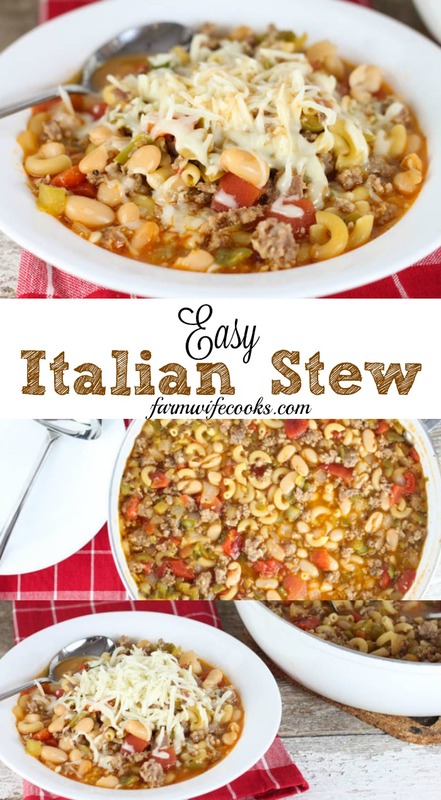 This Easy Italian Stew recipe is a great one-pot meal that you can throw together in 30 minutes and is budget friendly! Perfect for a busy day! 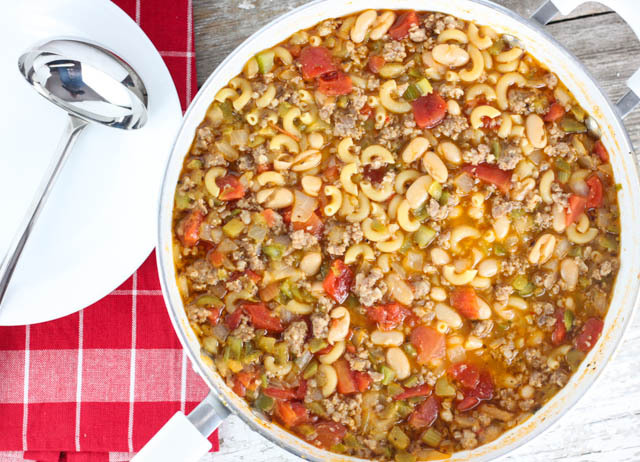 It is minestrone like and hearty enough to fill you up! I picked this recipe card up somewhere along the way and adapted it a little but you can find the original recipe here. 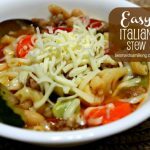 Looking for other soup recipes? Check out my Baked Potato Soup, Beef Barley, and Chicken Tortilla Soup. 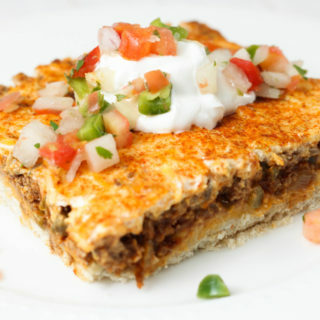 The recipe is great as is but I also love it because you can change it based on what your family likes or doesn’t like. 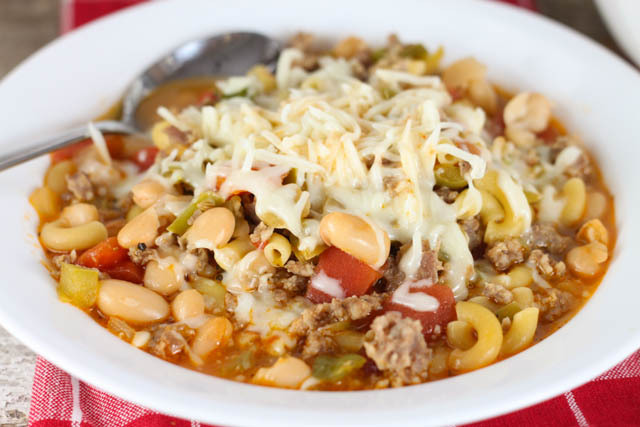 You can substitute ground beef or ground turkey for the Italian sausage in this recipe or if you like some heat you can use some spicy Italian sausage. If you don’t have cannellini beans you could use kidney beans. I also love that the recipe calls for a frozen veggie mix which you can change up as well, and no chopping veggies! 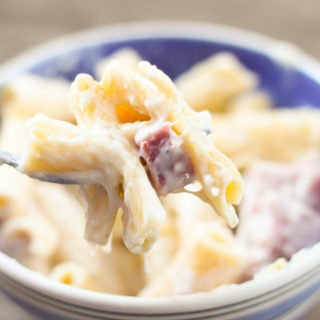 This entire recipe was purchased for less than $10, score one for the grocery budget! 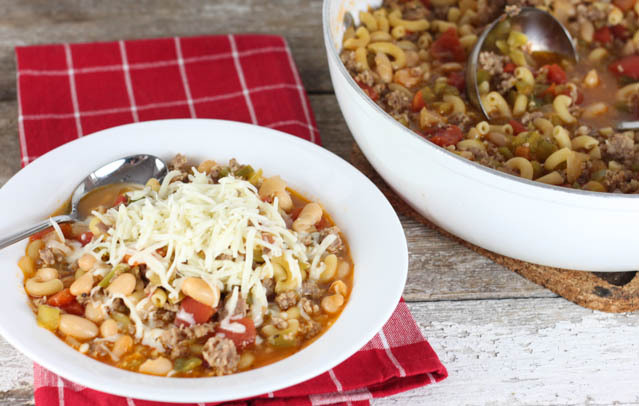 Serve this Easy Italian Stew with Ritz crackers or your favorite crusty bread. Heat dressing in large saucepan on medium heat. Add sausage; brown for 8 to 10 min. or until cooked through and no longer pink. Add broth, vegetables, beans and tomatoes; bring to boil. Simmer 6 to 8 or until macaroni is tender, stirring occasionally. Ladle into bowls and top evenly with cheese. 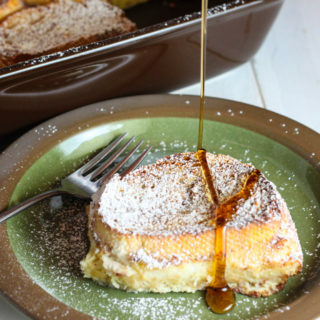 Serve with Ritz crackers or crusty bread.